Medical Freedom is at risk in every state of the nation under vaccine mandates. Since the removal of religious and personal belief vaccine exemptions by the State of California under law SB277, the federal government is widening the net to go after states by region through block grants for early childcare programs. The government’s message? If you want federal assistance, ante up and remove the religious and philosophical exemptions for vaccines. The U.S. Department of Health and Human Services (HHS) set a trap under The Child Care Development Fund when it sent Conditional Approval letters to states for fiscal year 2016-2018 that conditionally approve early childcare programs until all new requirements are fully implemented, including the removal of vaccine exemptions. All men have a natural and indefeasible right to worship Almighty God according to the dictates of their own conscience. No person shall be compelled to attend, erect, or support any place of worship, or maintain any form of worship, against his consent; and no preference shall be given, by law, to any religious society; nor shall any interference with the rights of conscience be permitted. After further review and consideration of the relevant requirements, the Office of Child Care has determined that States have flexibility to determine how to address this specific issue. Therefore, no state will be under a corrective action plan for allowable reasons for exempting children from immunization requirements. Ohio Advocates for Medical Freedom (OAMF) went one step further and took the matter to the Board of Education (BOE), held a hearing, and provided testimony that convinced the BOE on April 11, 2017, to pass a resolution supporting and advocating for parental rights in immunization. In a “Nation of Laws,” how can federal government supersede state law? It cannot. The federal government can legally make grants contingent upon a state action (i.e., removing an exemption); however, states are free to reject the funds and keep their exemption. No government, federal or State can give itself authority it does not have unless the people allow it. 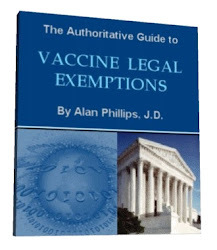 The Congressional Research Service (attorneys who research for Congress) concluded in 2009 that the federal government does not have authority to mandate vaccines for state residents which would necessarily mean that they also cannot remove (or otherwise control) state exemptions, another way of mandating vaccines. No mandatory vaccination programs are specifically authorized, nor do there appear to be any regulations regarding the implementation of a mandatory vaccination program at the federal level during a public health emergency. Even without the authority, the federal push-and-shove is coming in the form of the Healthy People 2020 Act which mandates cradle-to-grave vaccines for all ages. Your body becomes the property of the federal government unless we do our job to stop it. In America, we the people, are experiencing a major breech in the protections afforded to the people under the law. We can no longer depend on the feds to police itself. People must make themselves aware of the tactics now being used against them, stand their ground, and be responsible for the freedoms that are draining away. We function best when we can organize, work together, and use models that work to preserve inherent rights. Once taken away it becomes difficult to take them back. OAMF and PAMFA catalyzed change that preserved medical freedom from vaccine mandates, due to administrative shifts, for ALL 50 STATES! Continued vigilance and monitoring of government is necessary when rights are threatened with each new budget. Special thanks goes to Michelle Cotterman, RN, and the Ohio Advocates for Medical Freedom whose efforts serve to protect and preserve medical freedom and informed consent for all Ohioans. For more information on how to take action in your state, contact Ohio Advocates of Medical Freedom. Rosanne Lindsay is a board certified Naturopathic doctor and Tribal healer under the Turtle Island Provider Network. She is a Health Freedom advocate, co-founder of Wisconsin for Vaccine Choice, member of Wisconsin Coalition for Informed Vaccination, and president of the National Health Freedom Coalition. She is also author of the book The Nature of Healing, Heal the Body, Heal the Planet. Find her on Facebook at Rosanne Lindsay and Natureofhealing and consult with her (long-distance consults available) at natureofhealing.org, where this article first appeared. 15 Comments on "When Federal Grants Come With Vaccine Mandates"
You can only push people so far until they rise up and create a tsunami to push back. Not on my watch. Their incrementalism is not going unnoticed. The problem is that many people are hoping for a savior in Washington, DC when the answer lies within us. 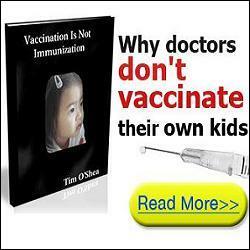 Vaccines contain chemicals and substances not fit for humans. Warning, do not take nor allow our children to take any vaccine. Do research. Aside from containing Mercury (Thimerisol) and Aluminium, some also contain tissue from aborted human fetuses. Any (fascist) government, like my own in Australia, that rules out “religious” exemptions needs to have their arses kicked out of office! For too long the people have taken this s#it lying down. If the safety and well-being of our children and grandchildren isn’t worth fighting for what is? Refuse to participate. These vaccine pushers are ‘Ignorant’ and are complicit in the rise of autism and a host of other exotic disease. Vaccines destroy the auto immune system and is child abuse. Mom’s and Dad’s stop this child abuse system. BIG BROTHER type tacktics. People have to refuse to allow this type of enforcement. Give government idiots an inch and they take a mile. behavioral symptoms that result in the “autism” diagnosis. damage occurred many months earlier. 1. Vaccines cause gastrointestinal damage. 2. Gastrointestinal damage causes malabsorption of nutrients necessary for proper brain function. Autism is the broad term. But it is vaccine injury — brain damage, gut damage and nerve damage. Doctors are well known for burying their mistakes, however when such enormous sums of money are involved with probable future litigation, they are trying their hardest to bury the dissenters along with them! Good info and well said. It’s common knowledge that when the federal government offers some city or state governments lumps of extorted taxpayer money, they are more often than not willing to rain down whatever pain onto their fellow citizens the feds want them to. Your Govs, Mayors, City Councils and School Boards stab you and your children in the back daily for federal funding, subsidies, grants and loans…power and status. They sell their souls for filthy lucre. The beauty is that every community can stop them. They only have to love their children enough to find out how, band together and fight the thugs in local office. Law IS on their side. Well said! And with passion! That is exactly what it takes to undo this entanglement. Refuse to comply. Stand your ground. Take heart! It is in the heart where passion lives. And most of those who dictate these draconian laws are heartless. Power to the people. SIC SEMPER TYRANNIS. You want to kill us with vaccines then prepare to die. Watch “The Truth about Vaccines” – a Ty Bollinger series. Excellent!! !